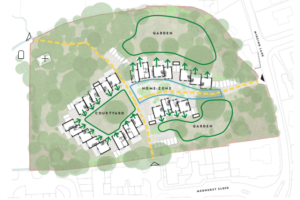 The site nestles between existing housing at the edge of Chobham Village, and is of a woodland nature. Removing lower grade trees, a ‘natural’ clearing forms. The zones adjacent to homes (in darker green) can be enhanced by planting to form a ‘buffer zone’ to protect privacy. The buffer zones at sensitive edges can be extended to form larger biodiversity zones. 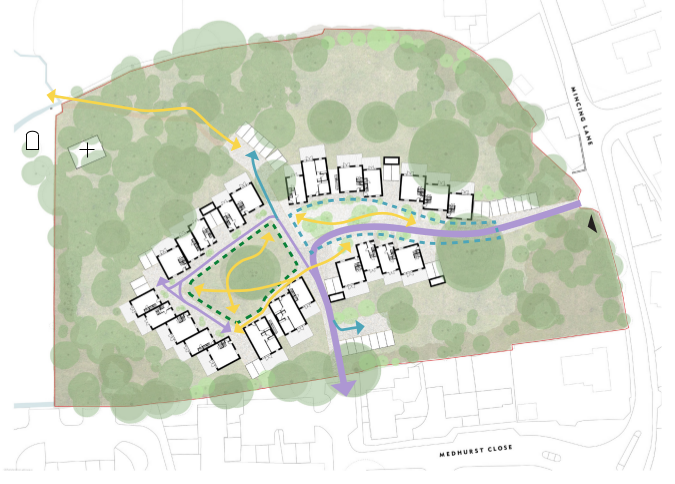 The community identified pedestrian desire lines cross the site, connecting to Little Heath SANG. These create a spine for the site. The spine based on movement creates 3 distinct areas within the central space for homes and gardens. 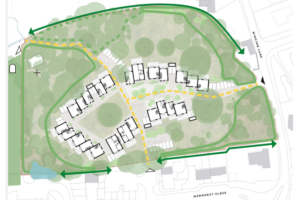 The site has been designed with continued input and feedback from community and neighbours. 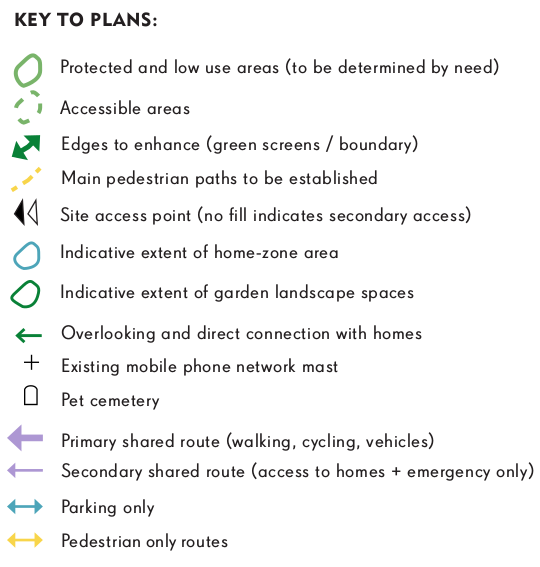 This page collects many of the ideas that we would like to include in the project’s communal spaces in the form of precedent images from a range of sources, keyed to the emerging site plan as a guide. 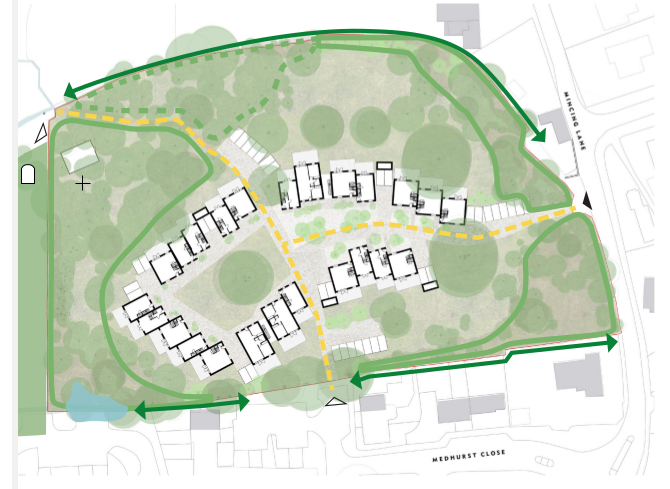 The shapes of the spaces are guided by retaining trees and creating protecting biodiversity zones. The communal gardens and outdoor areas will offer a high quality space that will meet the needs of all the residents, from young families to retirees, and are pedestrian priority throughout. 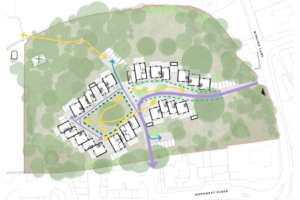 The external spaces for these sustainable rural homes will be characterised by the woodland in which they sit, and with good relationships with their neighbours.